Pros A popular model with a lot of power with its easy-start 60.3cc X-Torq engine. A professional-grade machine that is easy for the non-professional to operate. Cons Changing the chain requires disengagement of the chain brake, which is frustrating for some users. 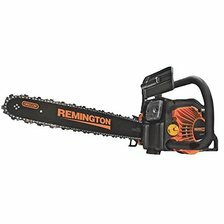 Summary A rugged and powerful chainsaw by a trusted manufacturer that is our hands-down top pick for the best of the best. 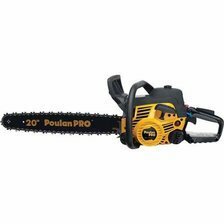 Pros A popular, basic gas-powered chainsaw that offers powerful performance. Electronic ignition aids start up in wet conditions that are challenging for most chainsaws. Cons We found that this model has some quality issues, including occasional problems getting it to start. Summary Functional model with powerful performance that is slightly compromised with a few quality concerns. Pros Small but powerful, this model stands out for its maneuverability and ease-of-use. A portable machine that makes trimming, pruning, and lopping a breeze. Cons Because it has a smaller bar, this chainsaw is not recommended for large jobs or tree felling. 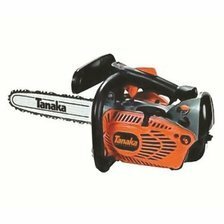 Summary A great choice for users who want a small chainsaw with a lot of power at a middle-of-the-road price; but we recommend other models we tested for big jobs. Pros An affordable chainsaw with powerful sawing action. Features a 50cc engine and a 20-inch bar for reliable power. Cons Some reviewers report starting issues. People with small hands might have trouble operating the trigger lockout function. Summary Though the Hitachi is a better value, consumers who need a bit more power for an affordable price might want to consider the Poulan Pro. Pros An economical model that is lightweight and easy to use. Features tool-free tensioning of the chain and a vibration-reducing soft-grip. Cons Some reviewers reported issues with some of the chainsaws not working, but the manufacturer stands by the product. 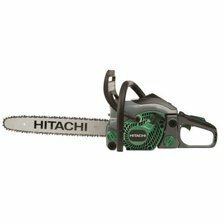 Summary With convenient features and an affordable price tag, the Hitachi is a top choice for value and functionality.